'CAT KINGS AND OTHER GARYS,' Part Two Giant goose dragon eat your friend? Best go down in a bloody battle the bards will lament in years to come! The Queens face a terrifying monster while Betty makes a startling discovery about a smidgen gut merchant that threatens her very life! 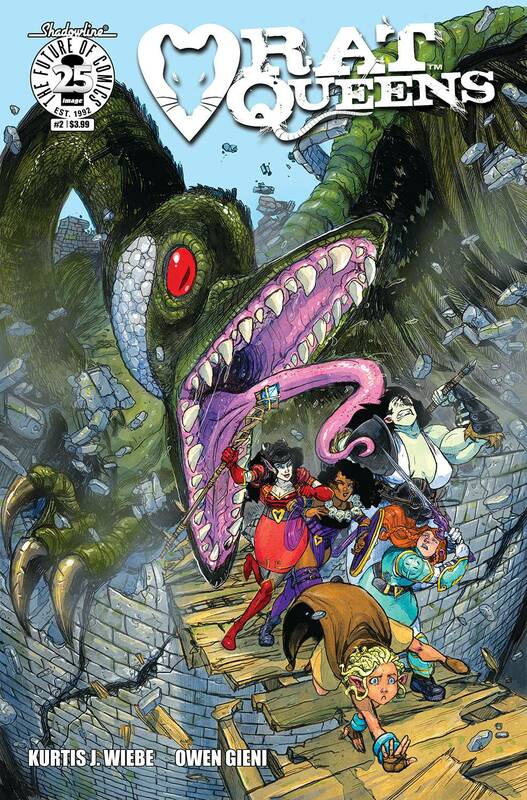 Featuring an original Rat Queens backup comic by acclaimed novelist PAT ROTHFUSS, writer of the internationally best-selling Kingkiller Chronicles!